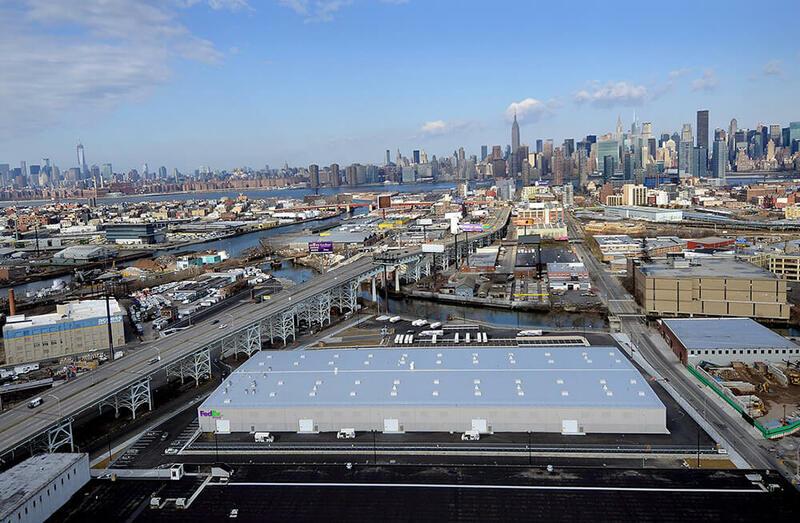 bld architecture recently completed a new 140,000 GSF automated distribution facility for Federal Express in Queens, NY. SunCap Property Group of North Carolina coordinated the development and design team with FedEx, as well as the long-term lease of the land. This one-story building houses state-of-the-art distribution and package sorting equipment and includes a 6,000 GSF mezzanine for office functions. An internal conveyor connects 25 exterior tractor trailer loading berths to the interior parking space for 100 waiting vans, which provide local ground service by zip code. 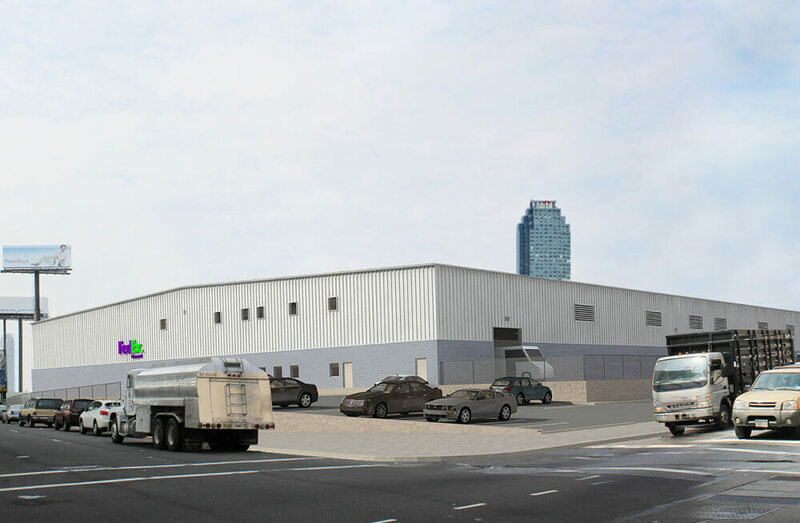 The 8.75-acre site is located along Borden Avenue in Queens, with easy access to the Long Island Expressway. The site also includes 250 spaces for car parking and additional room for trailer parking. The building is constructed with a pre-engineered metal building system for its large open bays and a masonry base for durability. The site is adjacent to the waterfront and provides pile foundations and bulkheads. The first of its type for FedEx in NYC, approvals were complex and involved the DEC, DEP, NYDOB, City Planning and Fire Department.